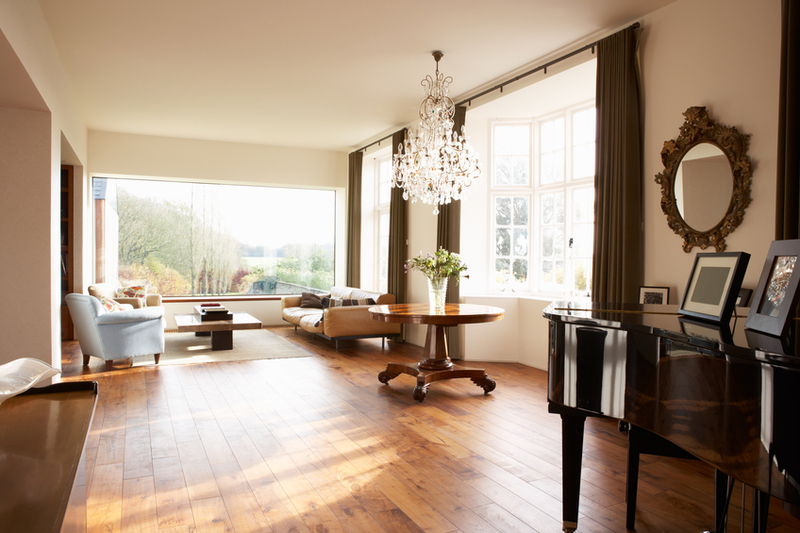 Are Hardwood Floors Right for Your Home? Hardwood floors are a very popular choice for many different types of homes and can really change a space. The flooring option is not the cheapest or easiest to install, but you can get many years of use from hardwood floors with very little maintenance. If you are thinking about getting hardwood floors, be sure to consider the following factors first. Will Your Furnishings and Décor Match? Hardwood floors can fit with many types of furnishings and décor, from rustic styles to modern and haute styles. Hardwood floors may not fit with absolutely every style, however. Really take the time to visualize what the floor will look like with your walls, ceilings, and furnishings. If you find yourself thinking of all the things you will have to renovate to make the floors look good in your home, you may wish to consider other options. If you find yourself excited about the way the floors will look, you may be on the right track. Will the Floors Be User Friendly? Hardwood floors hold up very well with high traffic and are generally easy to clean messes from. Hardwood floors are hard, however, so they will not make the best place to play for babies and they may be a little hard on the ankles if you will be standing for many hours on them, as in a kitchen or hobby room. Hardwood floors may also scratch easily if you have pets. Consider the activities that frequently occur in the rooms that the flooring will be placed in and determine whether life will be harder or easier with hardwood. Does the Flooring Fit Your Budget? Hardwood floors are not the cheapest flooring on the market, so if you are on a shoestring budget, this may not be the right option for you. While hardwood floors will have a somewhat high upfront cost, however, they may save you money down the road because of their durability and long life. Whether hardwood floors fit with your budget, both in the short and long term, depends on your goals. If you plan to stay in your home for a long time, hardwood floors can save you the hassle of replacing your flooring over and over, giving your home a permanent look and style. If you plan to sell the home shortly after replacing the floors, hardwood may help to raise the value, but you may not receive 100 percent return on your investment. Look into all of your options before making the decision to go with hardwood floors for a home that you will flip. Hardwood floors come in many shapes, sizes, colors, and styles. If you are considering installing hardwood floors in your home, call 407-262-7979 today and speak to one of our flooring professionals about your goals and preferences.